Shares in EVRAZ plc with company EPIC: LON:EVR has declined -2.04% or -9.94 points throughout the session so far. Investors aired on the negative side throughout the session. The high for the period has peaked at 487.9 dipping to 476.6. The total volume of shares exchanged so far has reached 668,330 with the average number of shares traded daily being 2,830,583. The 52 week high is 572 some 84.6 points in difference on the previous days close and a 52 week low being 265.7 which is a variance of 221.7 points. EVRAZ plc has a 20 day moving average of 506.27 and now a 50 day simple moving average now of 524.67. Market capitalisation for the company is £6,986.96m at the time of this report. The share price is in GBX. Mcap is measured in GBP. This article was written with the last trade for EVRAZ plc being recorded at Friday, September 7, 2018 at 1:51:36 PM GMT with the stock price trading at 477.46 GBX. The stock price for Fresnillo Plc with ticker code: LON:FRES has slid -2.48% or -21.4 points during today’s session so far. Traders were not positive throughout the session. The high for the period has reached 867.91 dipping to 835. Volume total for shares traded at this point reached 542,881 with the average number of shares traded daily being 1,349,226. The 52 week high is 1673 about 810 points difference from the previous days close and the 52 week low at 835 a difference of some 28 points. Fresnillo Plc has a 20 SMA of 943.99 and the 50 day SMA of 1034.07. The market cap now stands at £6,373.02m at the time of this report. The currency for this stock is Great British pence.Market cap is measured in GBP. 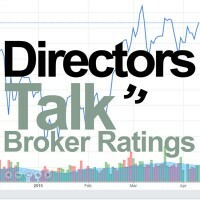 This article was written with the last trade for Fresnillo Plc being recorded at Friday, September 7, 2018 at 1:51:39 PM GMT with the stock price trading at 841.6 GBX. 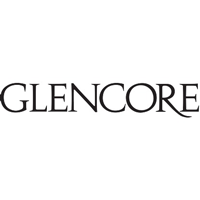 The trading price for Glencore PLC ticker code: LON:GLEN has dropped -2.58% or -7.85 points throughout the session so far. Traders have not remained optimistic during the trading session. The period high has peaked at 305.73 dropping as low as 295.05. The volume total for shares traded up to this point was 19,730,606 with the daily average at 44,918,165. The 52 week high is 416.91 about 112.81 points difference from the previous close and the 52 week low at 295.05 making a difference of 9.05 points. Glencore PLC has a 20 day moving average of 318.21 and now its 50 day SMA of 325. The market capitalisation currently stands at £43,260.02m at the time of this report. The currency for this stock is Great British pence.Market cap is measured in GBP. This article was written with the last trade for Glencore PLC being recorded at Friday, September 7, 2018 at 1:51:45 PM GMT with the stock price trading at 296.25 GBX. Click EVR FRES GLEN for the full archive.